I was camped below these peaks in the Sierra when a thunderstone rolled in. I hunkered down in my tent until the hail stopped, then raced around making images while this incredible light lasted. 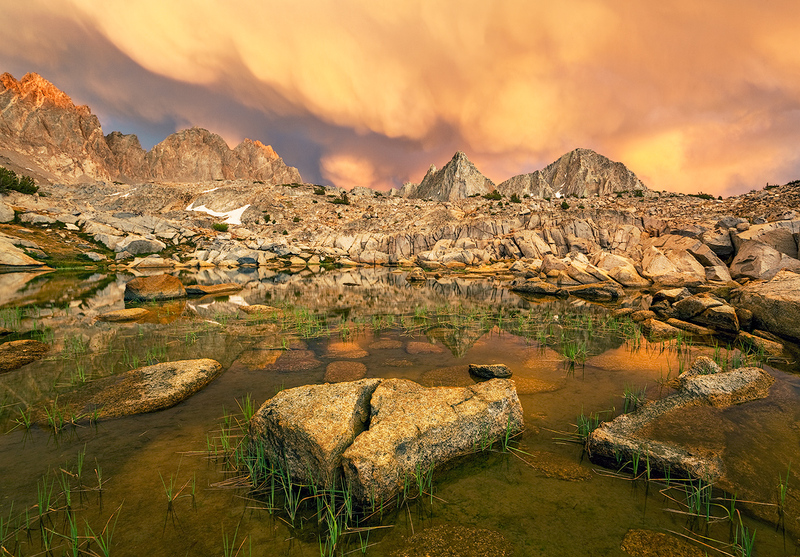 The granite of the Sierra is very light in color - and reflected the orange light. The landscape took on the hues of the clouds to create a surreal landscape.